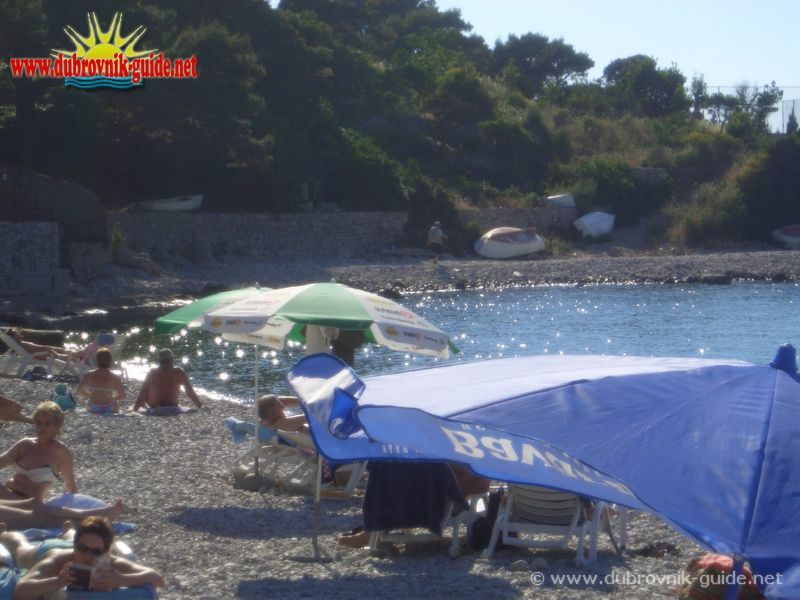 Several wonderful beaches are located in part of Dubrovnik called Lapad. Lapad is a peninsula holding the most beautiful, outer walls, part of Dubrovnik, with a heavenly bay, Sumratin bay (Uvala Lapad) in which all these beaches are located. 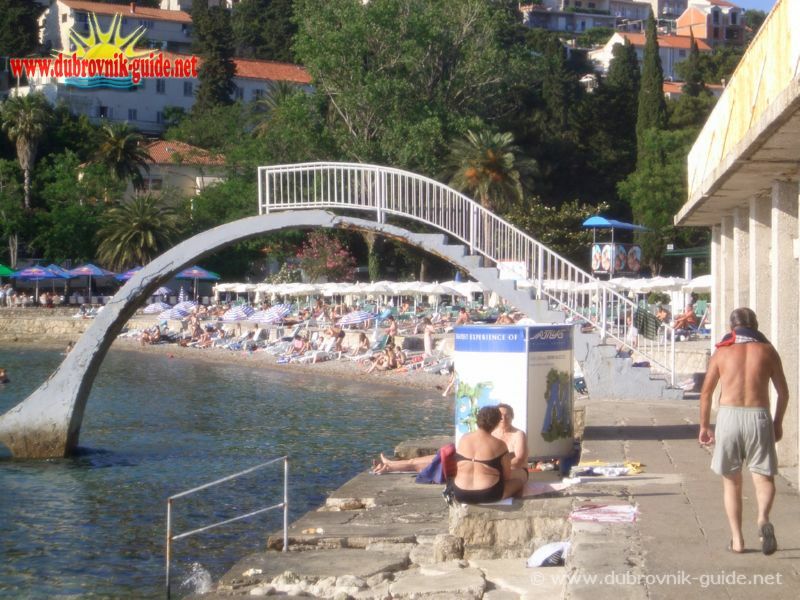 Lapad bay has a long boulevard with many coffee bars where one can refresh himself in hot summer days. At the end of this boulevard, beaches are located. First beach is called Uvala Lapad or Uvala (meaning Bay). It is a sandy beach offering many things. If you just like to sit and enjoy the view there are a beach restaurant and coffee bars. For those who want to lie down and enjoy in the sun, easy chairs can be rented, and if it becomes to hot, beach umbrellas are for rent too. Next beach on your left side is the Adriatic beach. Adriatic beach also has all commodities like other beaches, and it is suitable for those who don't like sand or pebbles, because it is made of concrete. It is very pleasant and truly romantic small beach. Beach Vis I is a beach right next to the Adriatic beach. It is a pebble beach. You can find a beach restaurant and a coffee bar on this beach, and cocktail parties are organized on the beach almost every day.For those who like kayaking, there are kayaks and beach canoes for rent. 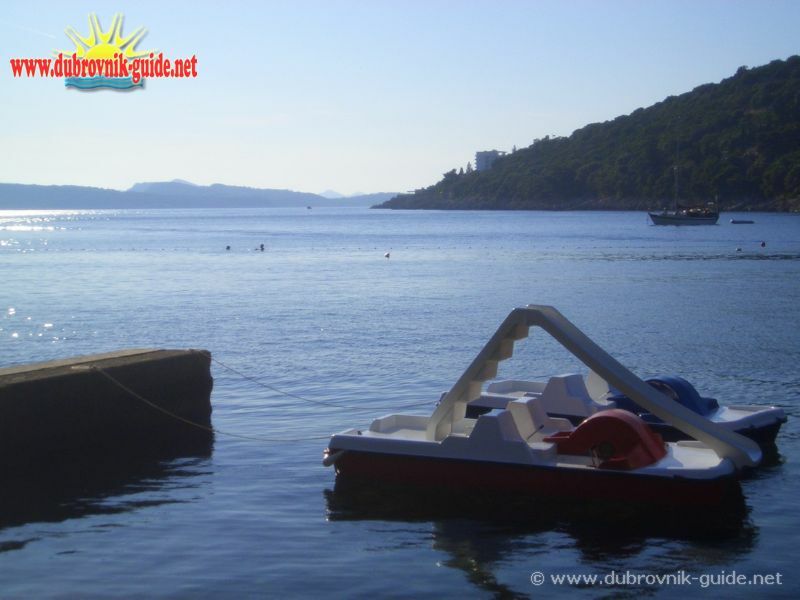 You can rent one and row around and visit all beaches in Lapad Bay (Sumratin bay). Near the Vis I beach is the Splendid beach. It is very small and attractive pebble beach with concrete parts. There is also another part of Splendid and that is the rock (bouldery) and pebble part, for those seeking privacy. When you pass beach Splendid you will come across beach Villa. It is an attractive sandy beach, especially for the youth. This beach is suitable for playing picigin, game often played on beaches. Beach next to the Vila is Vis II. It is small interesting rocky beach also with some concrete surfaces. If you like jet ski you can rent one here and go for a ride along the coast and see beauty of Lapad. Except beautiful beaches, Lapad has many other attractive places. If you like playing beach volleyball or tennis there are many courts in Lapad on which these sports can be played. Courts are located on beaches or near them so you can refresh yourselves in the sea after playing. If you are tired from walking, on this very walkway, near Villa Elita is a small and lovely restaurant with a a small coffee bar offering fish, shrimps, and other sea specialties. 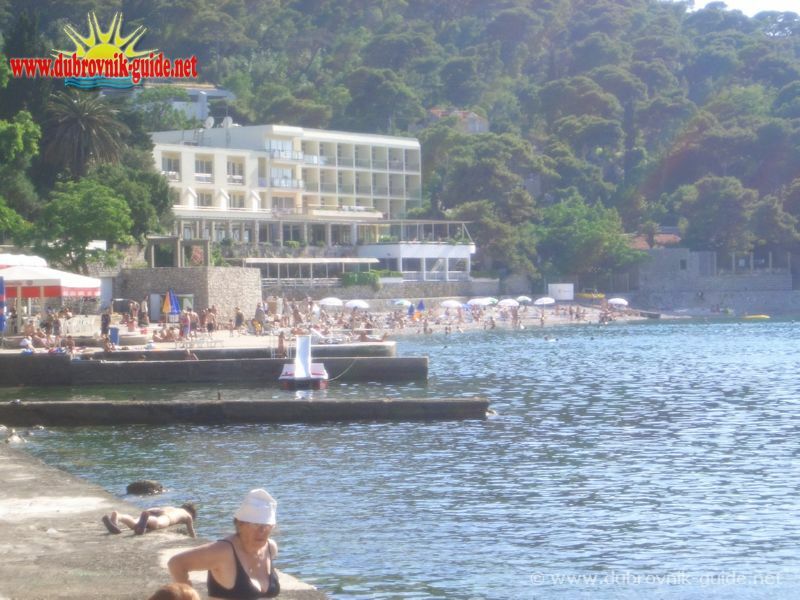 Lapad and its beaches are the place you must visit on your Dubrovnik vacation.